Visit me on my new blog site at: www.lovecreatecelebrate.com! Our baby girl is four and a half months old now. We figured she was old enough to go for a swim! We assumed that she would like the pool, since she relishes her time in the bathtub. We planned for a short trip, not knowing what to expect, but we ended up staying for a couple of hours! Our happy girl was looking around, smiling and enjoying every minute! Nap time came and went without a peep or a cry. 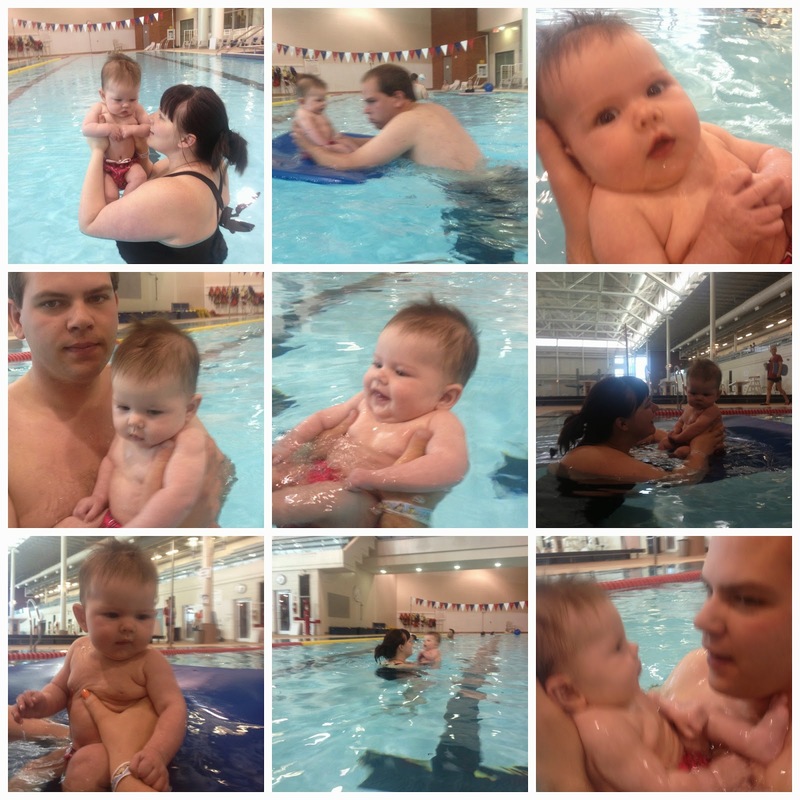 The only unhappy moment was when Daddy dunked her under the water… she said that was scary. But, the sadness quickly passed.. the pool is just too much fun to be sad! I love soaking up all of these firsts. 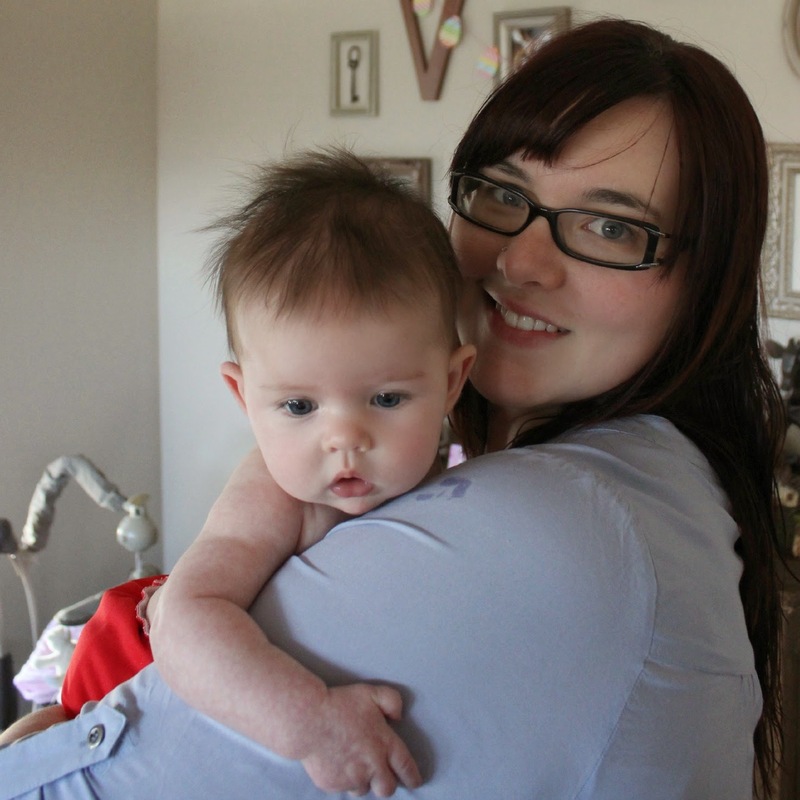 Are you underwhelmed by the giant flower headbands that everyone puts on their baby girls? Or just looking for something different? Personally, I like the flower headbands, but I was also looking for something unique. I'm really loving feathers these days - on cards, on scrapbook pages… why not on headbands? A few people have asked how my running was going. 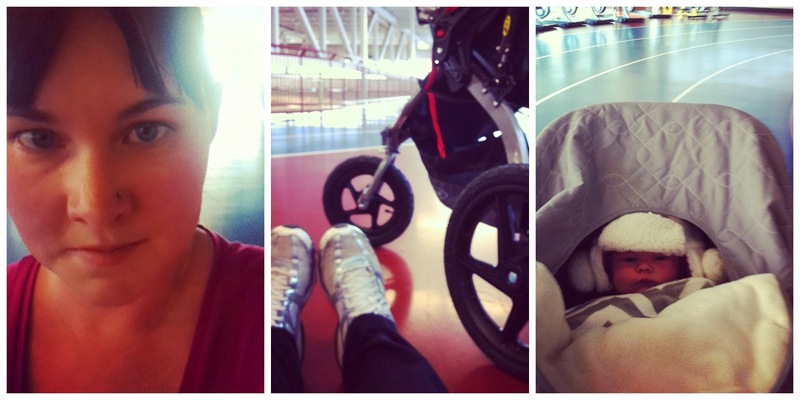 New baby… stroller… is it all working? The one thing I don't like about winter ending: the start of spring cleaning. I think the fact that I chose, of my own free will, to clean my home from top to bottom classifies me as an adult. It is official. Gone are the days of "No mom. I'll do it later..." and coming are the days of "No mom, I'll do it later!" lol. Mother's Day brought a whole new meaning for me this year! I've always celebrated Mother's Day by honoring my Mother (& recently Mother-in-law), but this was the first year I was celebrated.